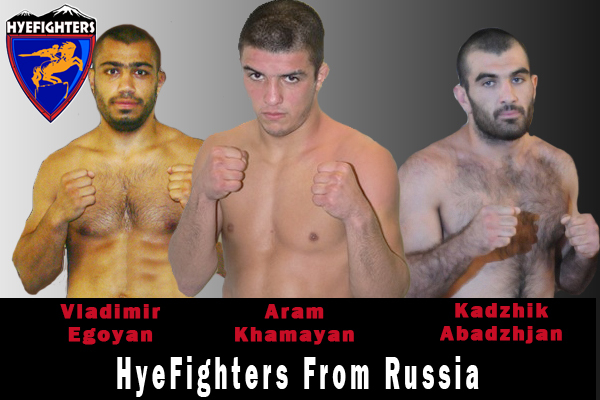 HyeFightres.com would like to introduce 3 MMA HyeFighters from Russia. Vladimir Egoyan, Aram Khamayan and Kadjik Abadjan. These young MMA fighters are getting noticed in Russia and we are sure that with their continued victories and successes they will become better known to all. Vladimir Egoyan is a 20 year old featherweight (145lbs) fighter with a very impressive record of 8 wins with only 1 loss. 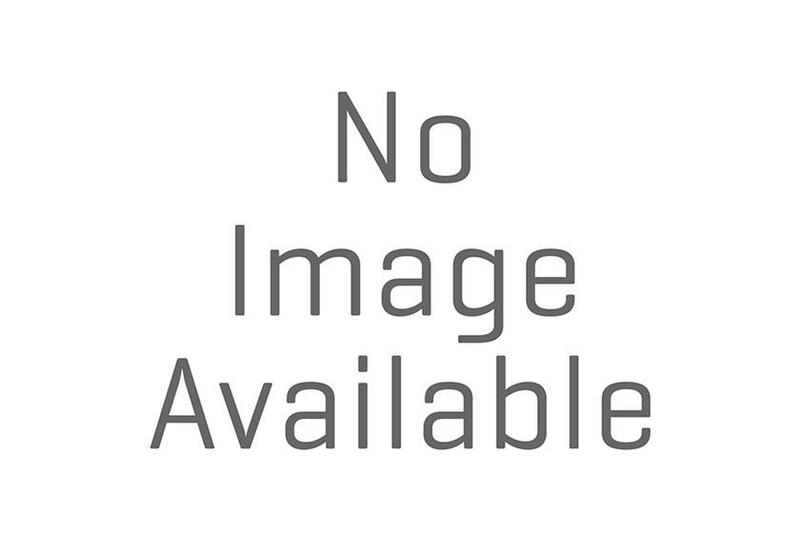 He is trained in Combat Sambo and is a very strong fighter. 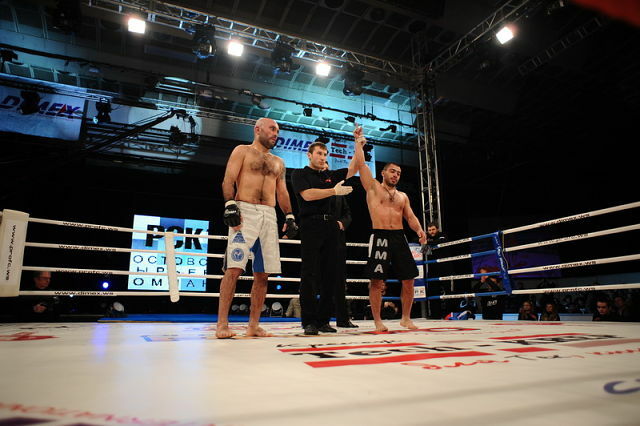 Aram Khamayan is a 20 year old featherweight (145lbs) undefeated fighter with a record of 5 wins with no losses. All 5 of his wins have come by stoppage; none of his fights have gone the distance, so it would be safe to say Aram finished fights!!. 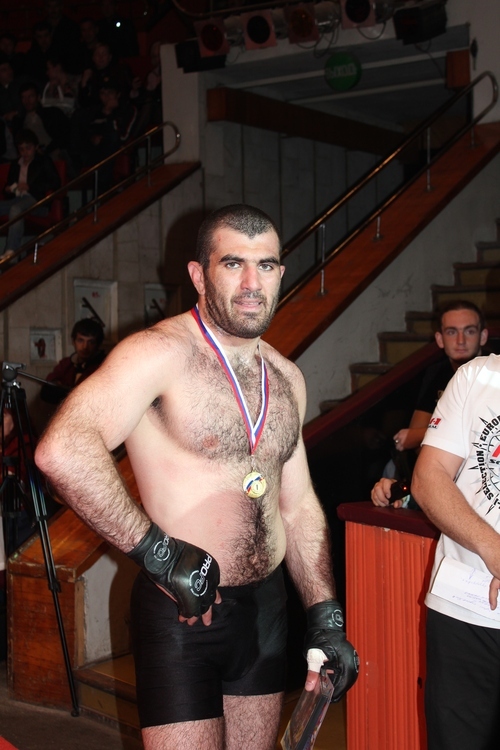 Kadjik Abadjan is also practitioner of Combat Sambo ith a pro MMA career of record of 1 Win with 4 losses. We would like to offer our support to these fighters (as well as any other professional Armenian combat sport athlete anywhere in the world) and wish them the best in their careers as we will be following it! !